Working with all these wonderful brides, our stylists often hear about the amazing wedding venues they are using. 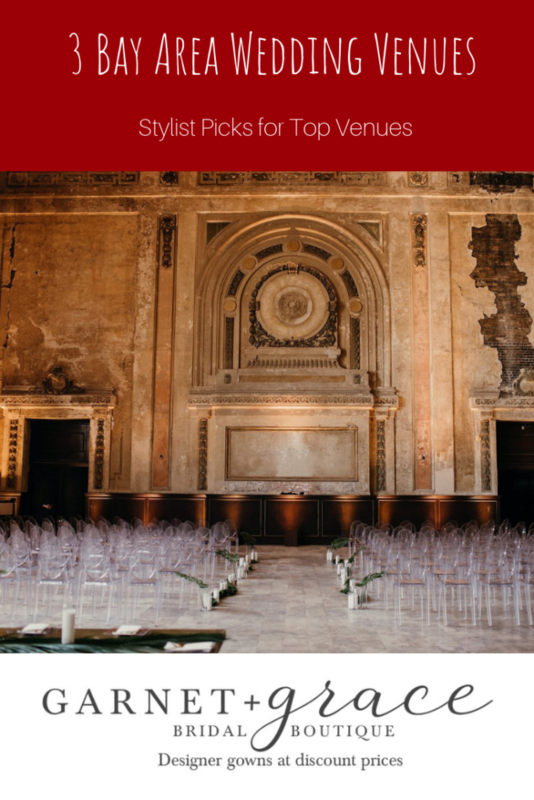 There are so many beautiful wedding venues in the Bay Area that we decided to share our staff picks of our favorite venues! Keep reading to find out some of our top Bay Area wedding venues! To start this off our stylist, Olivia, shared her favorite venue pick. 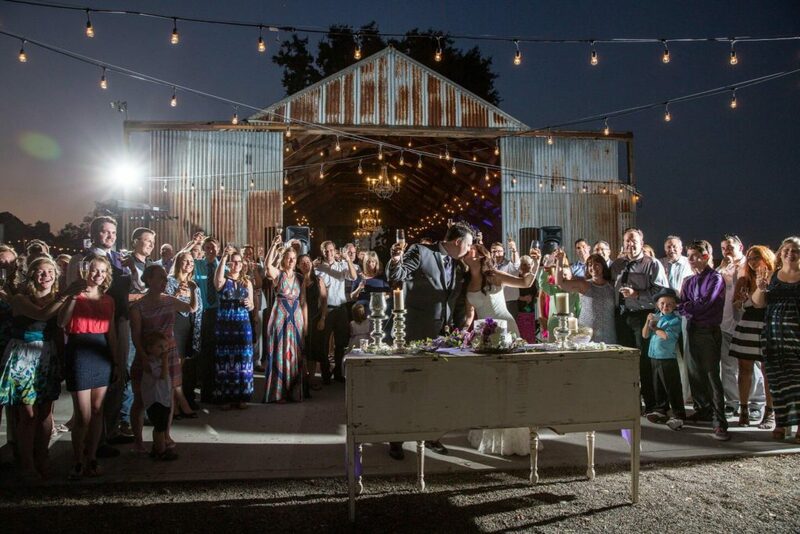 Second Wind is a beautiful barn located in Sacramento. The barn sits along the Sacramento River overlooking the green and golden fields. Your outdoor ceremony can be held under a large oak tree with three vintage wooden doors as your back drop. The lovely owners also have a storage room filled with beautiful vintage decorations that you can borrow for your wedding! For our stylist Yessica, one of her favorite venues was introduced to her by one of her brides! 16th Street Station in Oakland is a stunning abandoned train station built in 1912. 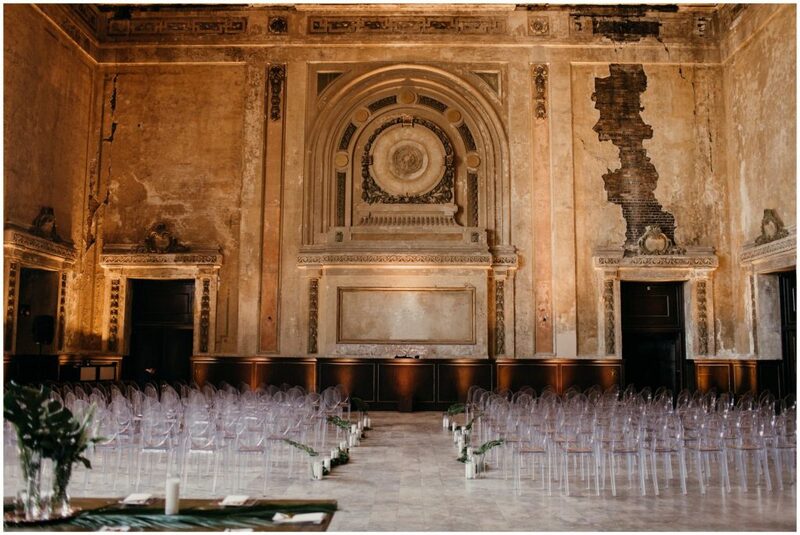 Imagine having your wedding in their breath-taking Great Hall with 40-foot-high ceilings. You’ll dance the night away on their original marble floors among twinkling lights. With 7,000 square feet you can do so much with the space or keep it very simple and show off the beautiful building. If you love urban landscapes, you can take colorful pictures against the graffiti filled concrete walls. You must check out the photos of the amazing weddings that have taken place there. Last but not least is stylist Natalia’s pick! 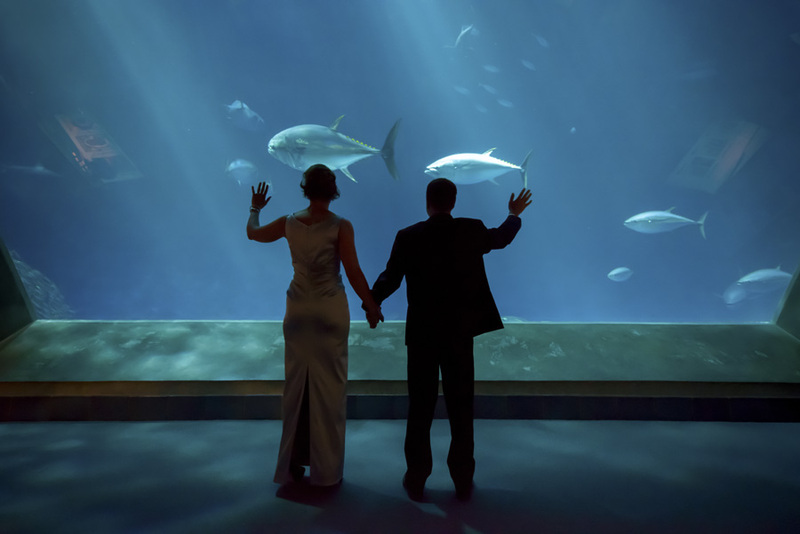 Imagine getting married next to the Open Sea exhibit at the Monterrey Bay Aquarium. The Open Sea exhibit features 90-foot window of beautiful sea life. Your guest will have dinner as the white sharks and sea turtles swim past them. You’ll have such a unique experience celebrating your wedding of your dreams. With their full-service event planners, you can just sit back, relax, and enjoy your wedding planning! These are just three top Bay Area wedding venues. We can’t wait to hear about more amazing venues from our future GARNET + grace brides! Looking for a wedding dress at a great price? Check out our huge selection of off the rack designer wedding dresses at discount prices. You can save up to 60% off retail prices every day!